One week before his law school graduation, Jake Rutledge is shattered. His fraternal twin, Blake, has died of a drug overdose. Jake returns to his hometown of Oakley, West Virginia, to discover that his brother was not the only person hooked on opioid painkillers. The entire region has been ravaged by an epidemic insidiously planned and carried out by one of America’s most powerful pharmaceutical companies. Working tirelessly, the lawyers begin to uncover the truth. Along the way, Jake falls in love with Anna Fowler, a former homecoming queen who has succumbed to the power of opioids. With his support, she weans herself off the drugs. Hope begins to bloom — when suddenly, Jake disappears. As Deke undertakes a desperate search to find him, questions swirl. Has Jake abandoned Anna and his crusade? Can the case against the evildoers move forward without him? Will Oakley and its residents survive? 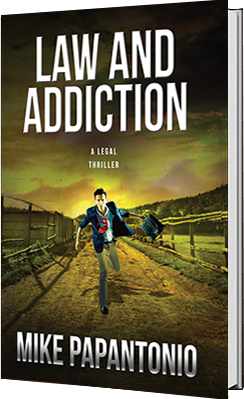 Law and Addiction is real-life drama at its finest — a book that clears away the darkness page by page, spotlighting a profound truth about our society through expert storytelling.